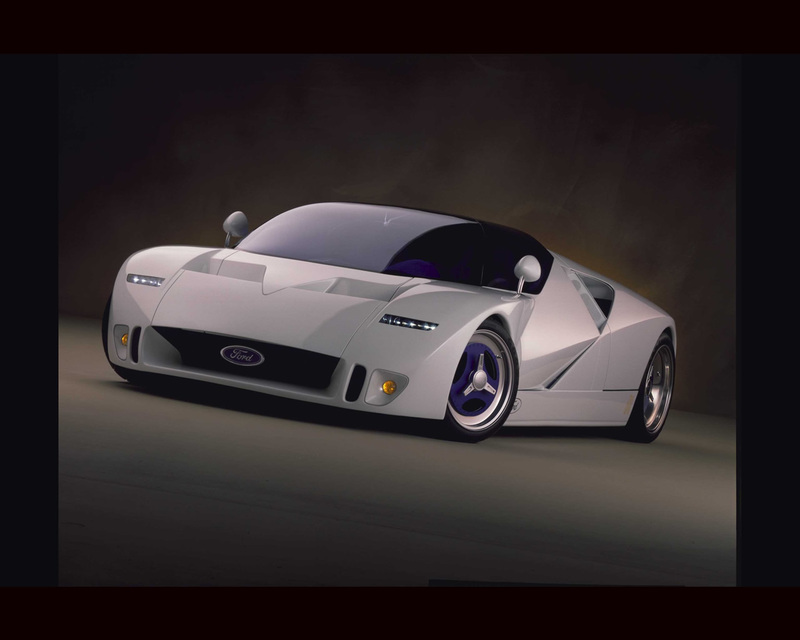 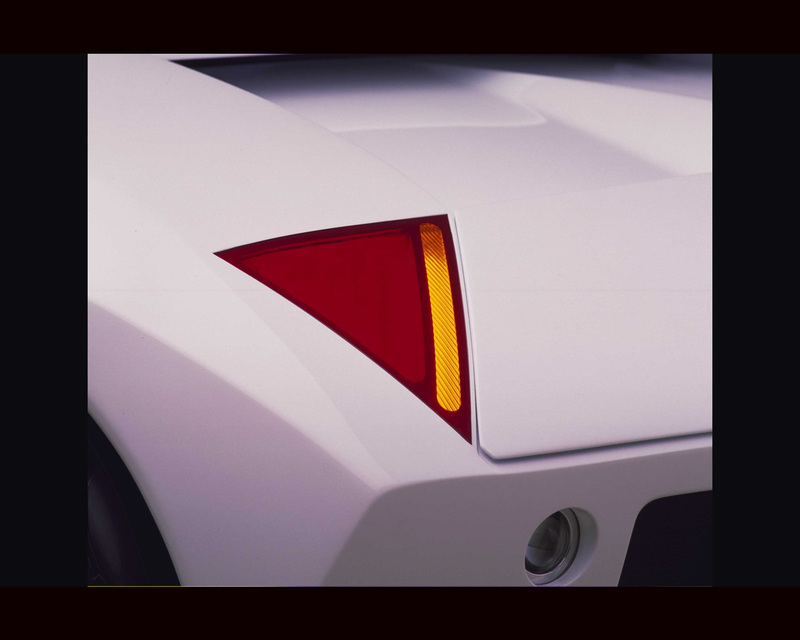 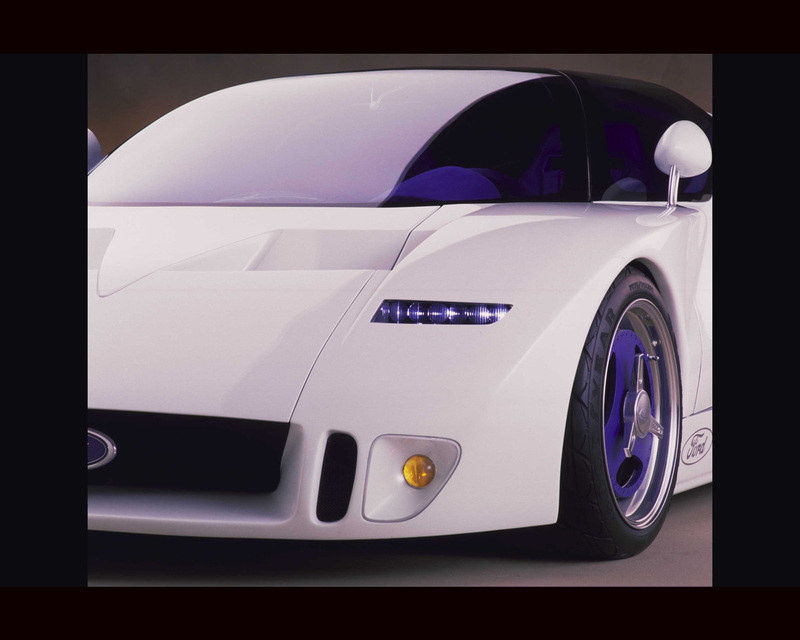 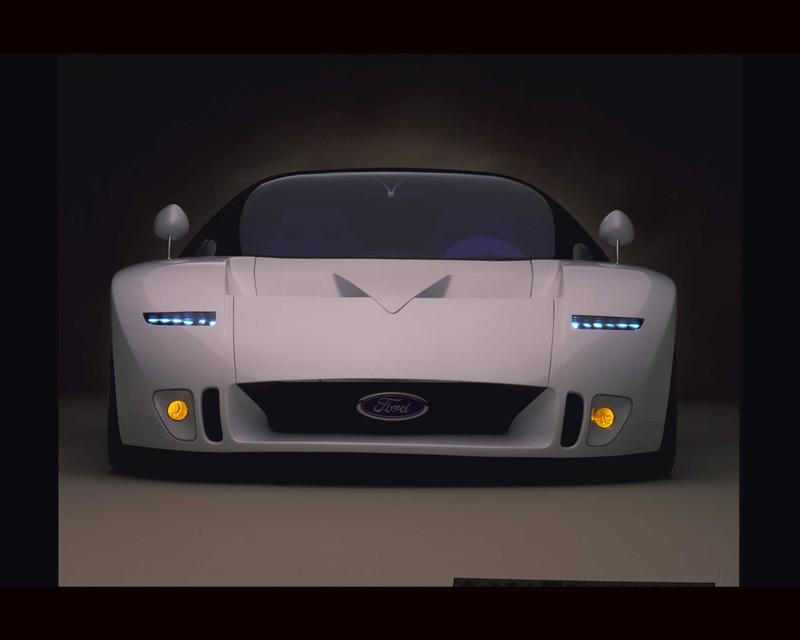 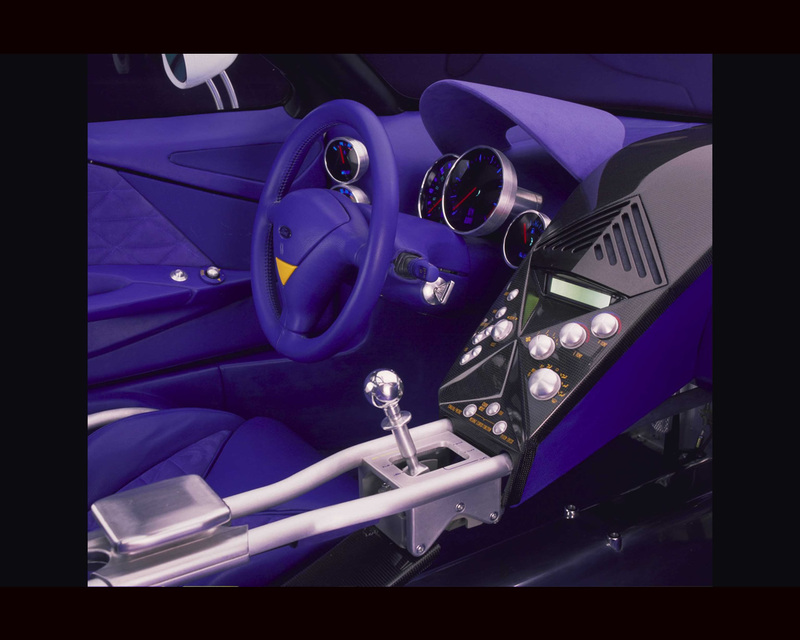 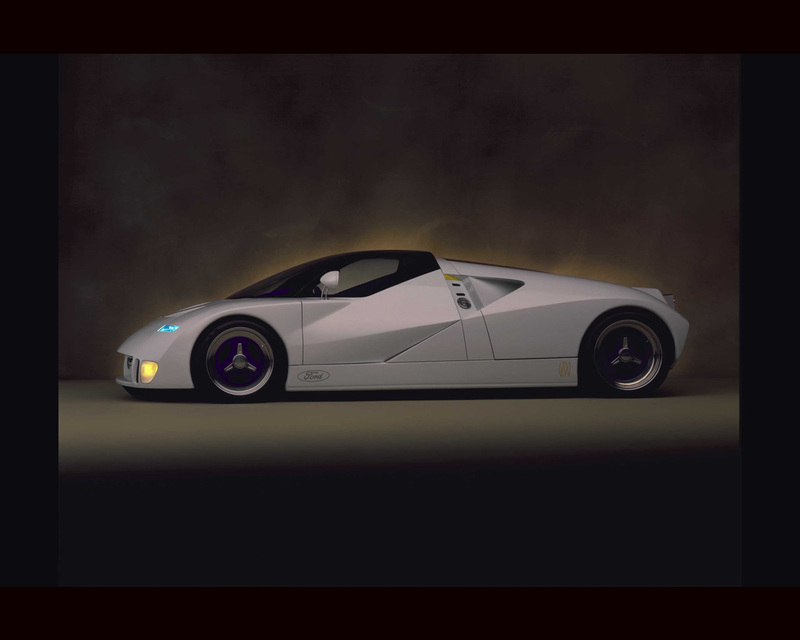 Ford Concept GT90 is a mid engined two seater show car introduced in 1995 ; Its edge shape explore new volume distribution. 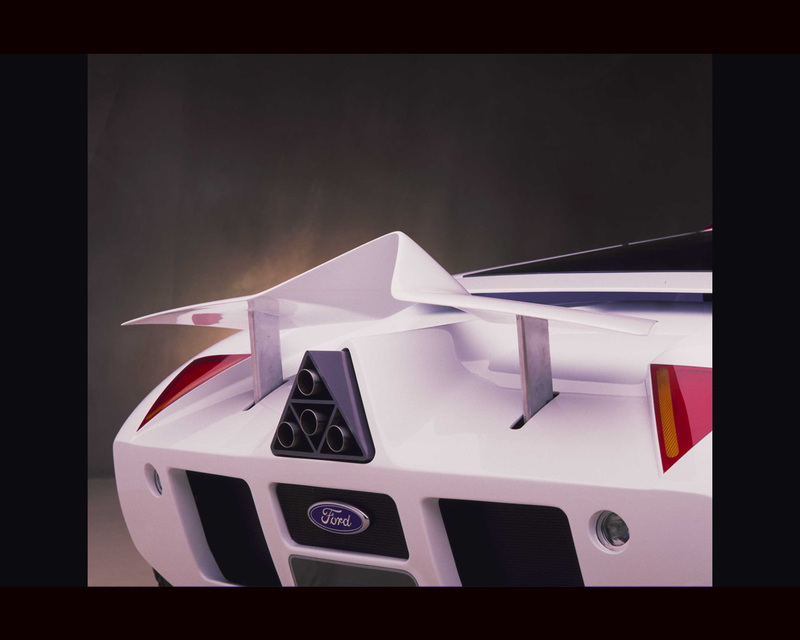 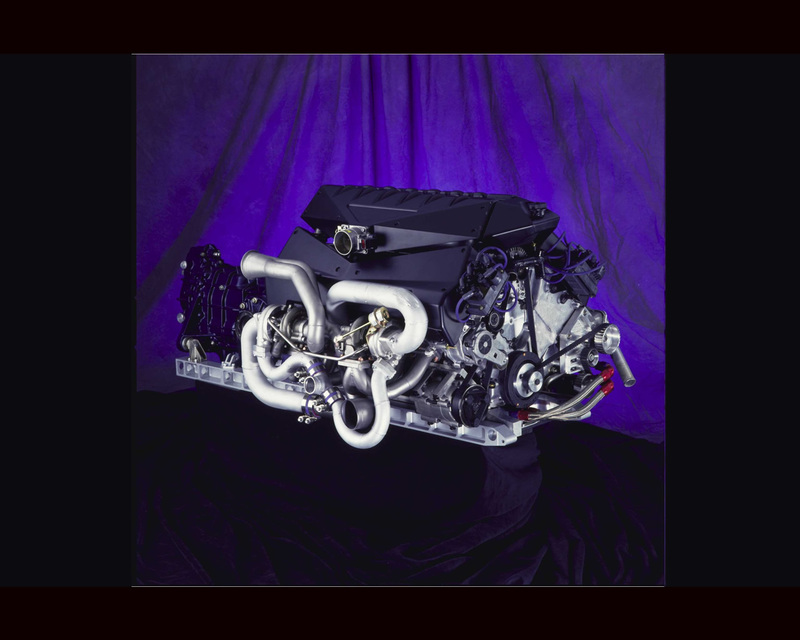 It has some common element with successful GT40, MkII and MK IV racing heritage. 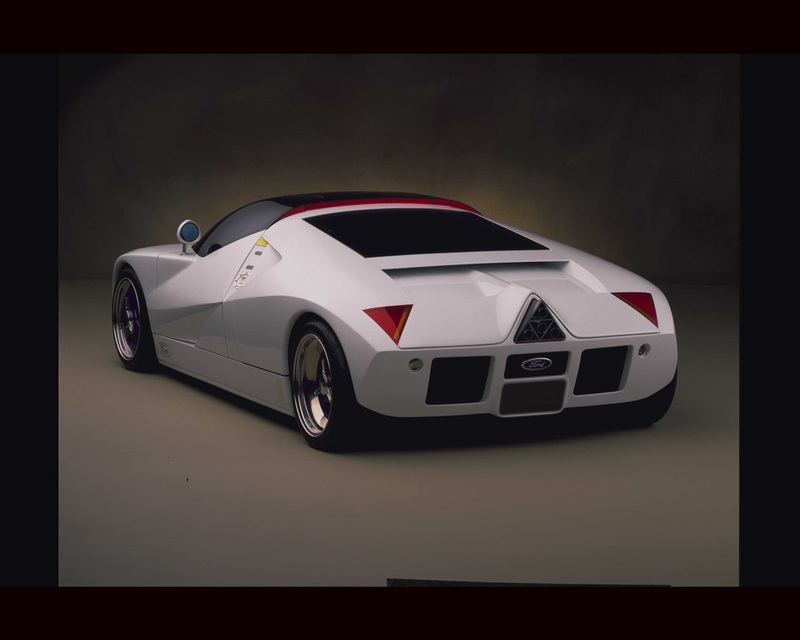 Propelled by 720ch V8 , the GT90 was at some point intended for limited serie production as a supercar. 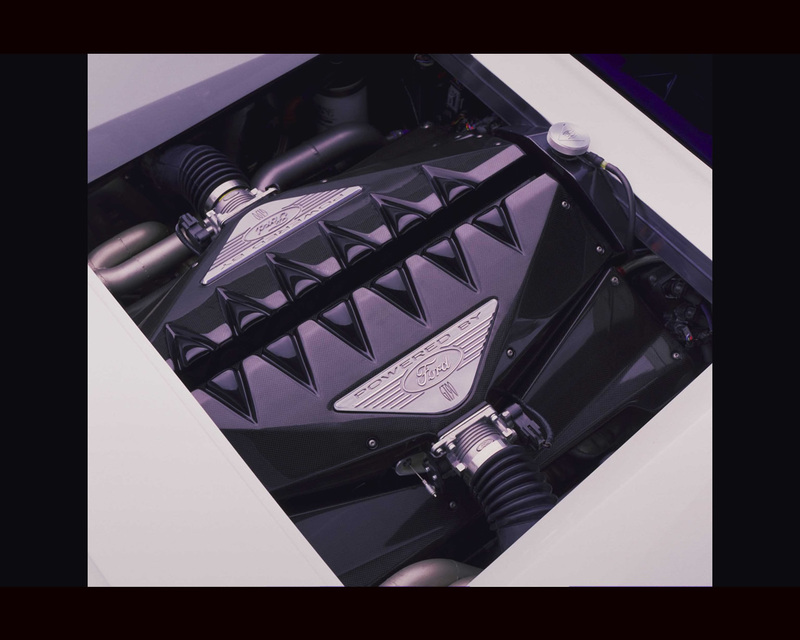 The styling gives some clues for production sedan. 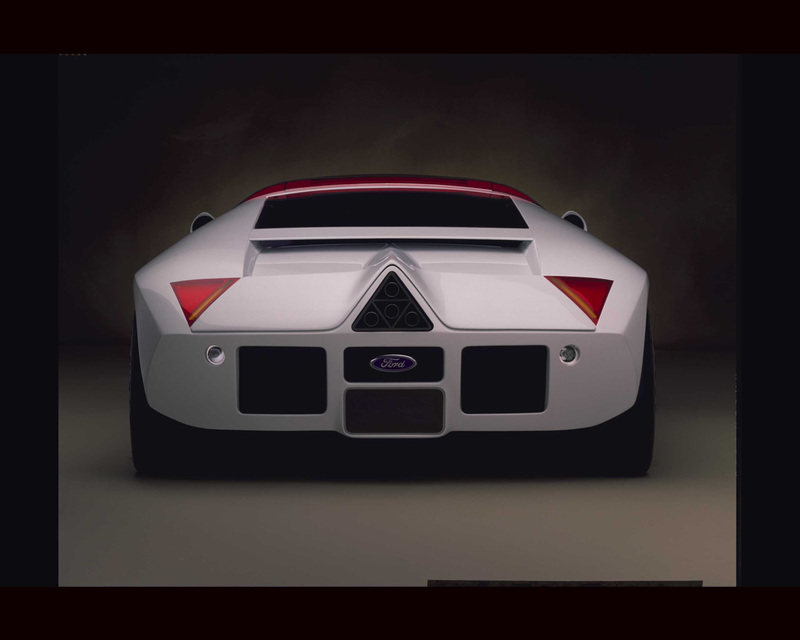 Technically the GT90 has a carbon fiber body with adjustable spoiler and a structure combining aluminium and sandwich honeycomb panels .